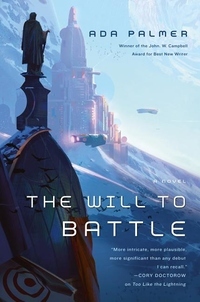 The Will to Battle is the third book of John W. Campbell Award winner Ada Palmer's Terra Ignota series, a political science fiction epic of extraordinary audacity. The Hives' façade of solidity is the only hope they have for maintaining a semblance of order, for preventing the public from succumbing to the savagery and bloodlust of wars past. But as the great secret becomes more and more widely known, that façade is slipping away.